Charging onto the scene in 2013, the Dodge Dart was Chrysler's first attempt at a compact car since the ill-fated Neon in the late '90s. It offered a lot of perks, including an above-average engine and a jaunty, sporty look, but it was ultimately more flash than substance. Now in its second year, the Dart has taken user feedback to heart and slowly transformed itself into a strong, serviceable car. The specs are even better than ever; the features continue to improve. Even its weight has settled into something staunch and sure. Many drivers actually praise the Dart for operating more like a midsized vehicle than a compact, though the numbers remain in the upper end of small. So what can this automobile do for you? 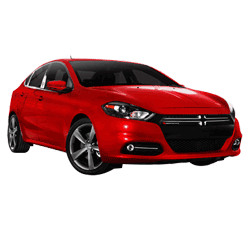 If you're interested in a 2014 Dodge Dart but unsure about making the commitment, here are 10 things that may tempt you into a test drive. You might look at the Dart's two-liter, 160 horsepower engine and not see anything special. But that's not factoring in the optional MultiAir engine. This turbocharged motor roars into life with twice the power and operates best at 2,5000 rpm. Again, the base engine is hit or miss depending on what you're looking for in a compact car. But the MultiAir will embody its name by allowing you to fly through the wind with 184 lb-ft of torque at your command. If that doesn't seem like much, remember that the Dart is a small car: Torque is all about ratio, not raw numbers, and in that respect the Dart is right on par with a large truck or SUV. A manual six-speed transmission means that you'll have superb control over your steering. While other transmission options are available, most drivers report feeling "very satisfied" with the six-speed standard. From cross-stitched Nappa seats to high-intensity discharge headlamps, the Dart offers a smooth, comfortable ride for drivers of all shapes and sizes. If the leather is too cold, simply turn on the heated seating. If you don't like the way your seat fits, rearrange it into another of its six-way configurations. The Dart's front-wheel drive puts its drive wheels directly under the engine, meaning better control and vehicle weight distribution on the road. If you live in an area with a lot of snow or sleet, this is a car that will keep you moving through the elements with ease. With a low-gloss finish and a sleek, tight design that draws inspiration from both the Charger and the Neon, the Dart doesn't actually look like a sedan. This is very much a point in its favor. Other sedans get labeled as "soccer mom cars." The Dart would eat a soccer mom. According to official statements from Dodge, there are more than 100,000 ways to build your own Dart. For example, the taillights offer a full-width cluster that can hold up to 150 LED lights. The wheels can be ordered in 16 or 18 inch varieties. Even those audio controls that make the interior so high-tech can be upgraded even further with things like Bluetooth technology. The Dart was a Top Safety Pick of the Insurance Institute for Highway Safety (IIHS). It also enjoyed a five-star rating from the National Highway Traffic Safety Administration (NHTSA). This is because the Dart will monitor your drive with painstakingly thorough security measures like blind spot alerts and rain-sensing wipers. You'll also be protected by 10 airbags in the event of a collision. While the final price will depend on the dealership, most Darts can be found for less than $20,000, making them one of the most affordable small cars on the market. They're even cheaper than other Dodge vehicles. These are just a few of the reasons you may consider a Dart for your next ride. But what about the reasons you might not want to buy it? Owners of the Dart report that it's very slow to accelerate both from a complete stop and after red lights, stop signs, et cetera. If you take the interstate to work every morning, merging may be a problem. You won't get a lot of mileage out of the Dart before you need to refill your tank, which is one of the reasons so many people flock to small cars in the first place. 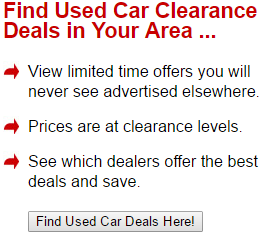 You'll have to be satisfied with saving money through its low market price. Specifics will depend on your height, of course, but no one has ever called the Dart "roomy." A large dashboard limits your range of motion from the ground floor, and its bright display is quite close, causing some drivers to complain of unavoidable eye strain. The trunk is similarly disappointing, rich to the touch but too small for any real storage. Simply put, there isn't a lot of space in a Dart. As you can see, there are both pros and cons to purchasing a 2014 Dodge Dart. Your decision should ultimately rest on whatever specs and features are most important to you. If you want to accelerate quickly and go peeling off into the night, this isn't your dream car. If, however, you're looking for a strong, steady vehicle that can power through any number of snowstorms or traffic jams, the Dart may be just the answer to what you seek.